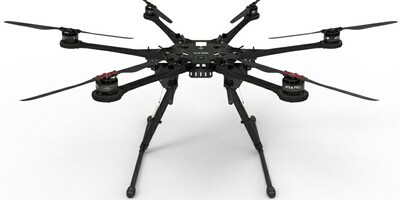 The S800 EVO is a new generation of hex-rotor platform designed for professional aerial photography. Amongst other design features, it has a strengthened and rigid frame structure, strong and stable power system and also an efficient and abundant power reserve, all of these features make the S800 EVO a perfect choice for commercial and industrial AP applications. Click Here Spreading Wings S800 EVO For More Information.